Launch Network and Sharing Center. 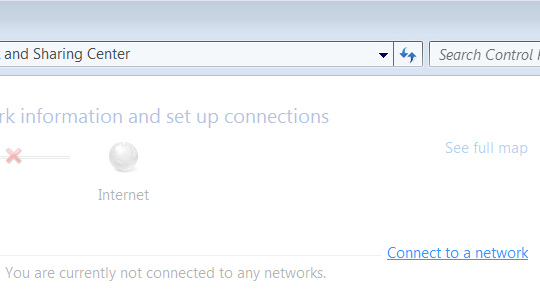 From the Windows desktop navigate Start > Control Panels > View network status and tasks. From the Wireless Network Connection section verify the SSID (Network Name). The network name may vary (e.g. 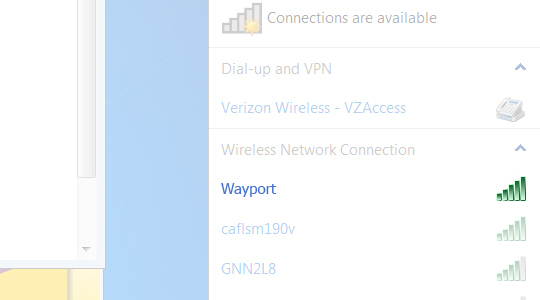 Verizon Wi-Fi Access, Wayport, etc. ).